Let me be clear-I am not writing about the next generation of military brats. I am writing about mommas who are getting ready to shoulder the burden of the military mom backpack we experienced moms carry. I can tell the surge is coming. My Facebook feed is full of prom photos. Smiling beautiful young men and women will soon be graduating and moving on to fulfill their destinies. 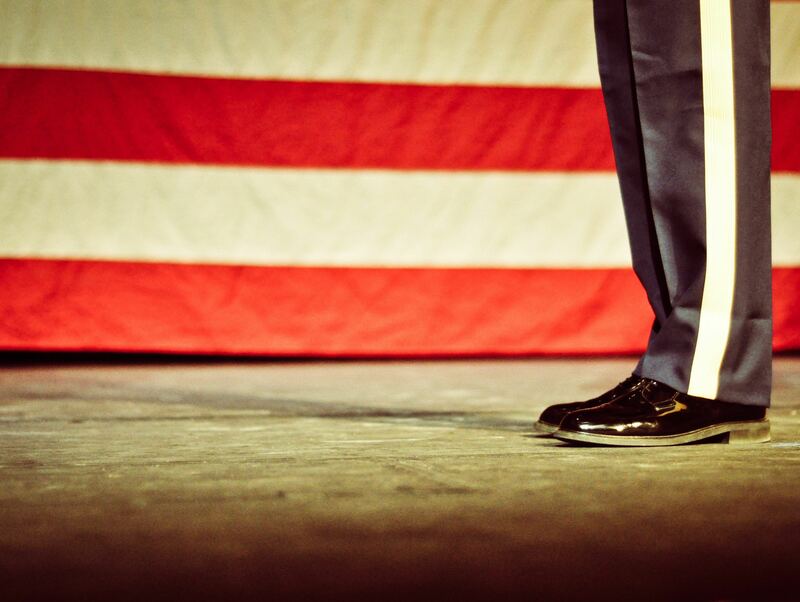 For some of those new graduates that destination is heading to service academies, college and ROTC, or boot camp. And those mommas will join our sorority-the great Sisterhood of Mothers bound by letting go and pride. I counted myself fortunate that as a Naval Academy mom and then as a University of North Dakota Army ROTC mom I had four years with my children in a safe harbor before they were on active duty. I had some time to get used to it. Other moms have to make the transition in just a few months! Make no mistake-Plebe Summer and the associated lack of communication and worries about how they were doing was no picnic. But I continue to remind everyone who will listen that those challenges are the beginning of your Momma training. Just like waking up in the middle of the night in the last trimester of pregnancy gets you ready for the sleep deprivation of life with a newborn, basic training is your chance to adjust to life without your son or daughter and knowing they are being put to the test before they are actually in harm’s way. If you are becoming a new military mom or know someone who is, this is the “What to Expect” version for military moms. 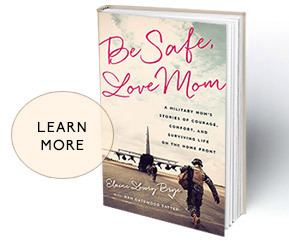 “ Be Safe, Love Mom: A Military Mom’s Stories of Courage, Comfort, and Surviving Life on the Homefront” is a guide to manage the changes to come and to inspire all of you who love someone in the military. I want to include your stories here on the website too! Do you have a story to share how you managed those first few months as a military mom, or maybe a way you kept yourself from falling apart? You can send them to submissions@besafelovemom.com. We will post them in the Mom to Mom section anonymously to protect you and your military loved one but you can bring comfort to the newest members of the Sisterhood. Welcome Aboard! And Godspeed to your sons and daughters. We are so proud of them too. My son is graduating from Virginia Military Institute, Commissioning in the Navy, and off to flight school in just a few short weeks. My husband was a 31 year career Navy pilot. I am an expert military wife. There is no way to prepare to be military mom. It’s very different, when your baby is taking this journey! I came across your blog, and I’ll be tuning in frequently! Our son is a Marine, and about to be hitting the Fleet in a couple weeks. Just got your book and can’t wait to read it! Thank you in advance for your words of wisdom!!!! When my oldest son joined the Navy in 2010 I found the Blue Star Mothers of America and joined. I was so grateful to have those mothers who became sisters because no body understands like another Military Mom. We learn how to get through Boot Camp and overseas duty stations and months at sea with little communication. We find that if you can’t hug your own hero for Christmas, hosting 150 others almost, just almost, makes up for it. In 2014, my youngest son joined the Army. I knew I would survive boot camp and far away duty stations. Now, as he prepares to deploy to a war zone, and I’m now the president of that chapter of the Blue Star Mothers of America, all those fears come rushing back. I’m looking forward to reading your book and finding that one thing that will keep me hanging on because no one understands like another Military Mom. I am hoping to meet you at the annual BSM Convention. Mom to Mom-nothing else like it. My daughter graduated from the Air Force Academy in 2014 and just finished pilot training. Now the real stuff begins. My husband and Dad were Air Force but nothing prepares you for it when it’s your baby. Loved your book and love connecting with other military Moms on your blog. So true! My husband was an instructor for the first women in AF pilot training-congratulations to her! This military mom thing is a process isn’t it?